In this first scenario, I come into your office and apply for an apartment home. I tender my application but at the same time I ask for a reasonable accommodation. The accommodation that I am requesting is that you make an exception to your resident selection criteria due to my disability. Your criteria clearly states that you don’t except people with a felonious criminal history and I have one. I am a recovering drug addict and have spent time in prison for possession with intent to distribute. I have served my time, and I have been clean and sober for a period of 24 months. I have a good credit history, and I have good landlord references for the previous 24 months. I am willing to provide a letter from my therapist that states that I am successfully enrolled in treatment and I have been clean for 2 years. Would you make an exception to your policy for me based on my request for a reasonable accommodation? In this next scenario I come into your office and state that I am disabled due to a problem with alcohol addiction. I have good credit, make adequate income, and have good landlord references. The accommodation that I need from you is that you make an exception to your qualifying criteria because 3 years ago, I encountered a period in my life where I lost my job due to my addiction and destroyed my credit. I filed for bankruptcy and my credit rating is low. I ask that you approve me regardless of my credit history because that was a result of my disability. Would you rent to me? The last scenario is I ask you for a reasonable accommodation and allow me to keep a Golden Retriever in my apartment in your “no pets” building. I am a trainer for the local Leader Dog training facility and a key part of my job is to care for and continue to train young animals in my home. This request is not due to my disability but to assist others that have disabilities. I assure you that the dog will be well-behaved, will always be on a leash or harness while in public, and I will always clean up after it. Also, the actual dog that I have will rotate every 6-10 weeks. I indicate to you that I will have to move if you do not allow me to keep the dog. Would you allow me to keep the dog. So these are the scenarios that I used with my class and got an array of different reactions. I would like to continue the conversation with everyone, so please use the comment fields to give your opinions on these scenarios. Also I would love to hear if anyone has actually encountered any of these things in the real world yet. 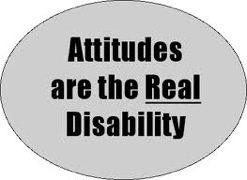 With over 50% of all fair housing complaints coming from people protected by the class of disability, I think that any conversations that we have will be beneficial to our industry. What are your answers. I would say yes to 1st two and no to last. I agree with you, Mickey. I think it would be a stretch to say that the first two are not reasonable requests. I think it does pose a potential liability issue though as far as the criminal history part goes if there were a later criminal incident by the resident that caused harm to others. I would say no to all 3, a resident selection is put in place to make sure everyone is treated the same. Lynette, I can appreciate that. My only concern would be, would a “jury of our peers” agree that making an exception to policy based on someone’s disability would present an “undue burden” to our operations. Not disagreeing, just trying to look at it from all potential angles. Thanks for the comments, Keep’em coming. I think we are with in our rights to say no to all three. Scenarion One: the next felon to apply does not have all the lovely references and credit history etc. I turn him down, and he claims discrimination, becauseI I have another felon on premises. If my criteria is: NO Felons: Must I then develop a sub criteria to screen felons ? if I am accepting felons? Scenario two: Alcoholism is a disease, how does it get classified as a disability? A bad credit history is not the result of alcoholism it is the result of poor choices. My neighbor has a poor credit history because she is a shopaholic and could not pay her bills. Is shopaholic a disability? Scenario three: the applicant is not disabled and a dog is a dog.